The Children's Defense Fund-New York released recommendations to help School Based Health Centers manage the transition to Medicaid managed care, which is set to take effect in July. Recommendations include developing a way to bill multiple managed care plans at once, and having the New York City Department of Education bill Medicaid for preventative, evaluative and medically necessary health and mental health services. According to the National Survey of Children’s Health, nearly 35 million children in the United States are living with emotional and psychological trauma, but only 8 million of them have access to a school psychologist. Even fewer students have access to a social worker. The result is a system that punishes and criminalizes students most in need of school-bsed services aimed at addressing children in trauma. Bassett Healthcare received a $297k grant from the Health and Human Services Department to provide health services and education through telehealth in upstate New York. 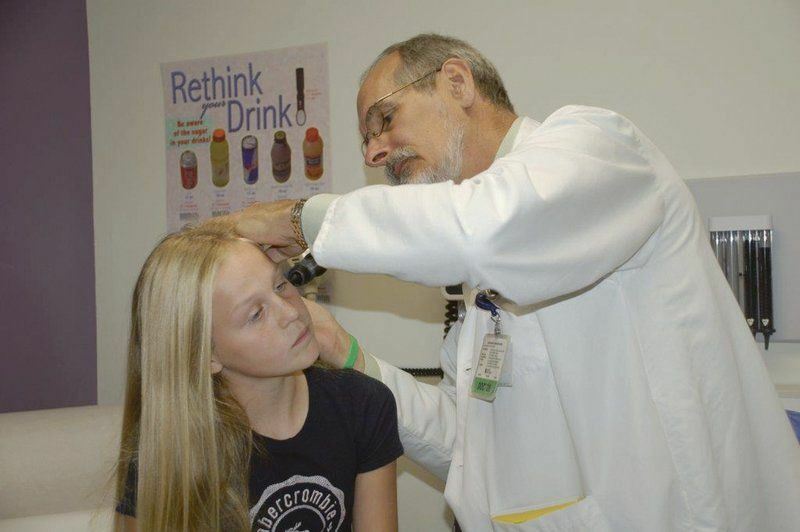 “Adding telehealth services in many of our school-based health centers is a way for Bassett to continue to build on the school-based health program, further improve accessibility of health care services and improve the health care outcomes in medically underserved areas,” said Dr. Chris Kjolhede, co-director of the Bassett School-Based Health Program, pictured above. Starting this month, the Jewish Board of Family and Children’s Services is launching a program — called the 100 Schools Project —which will connect community based organizations to 10 middle and high schools spread over Brooklyn and the Bronx that will help train teachers and other staff members to recognize signs of distress and funnel students into the right mental health, behavioral intervention or substance abuse programs. The initiative is expected to reach 50 schools by January 2017 and 100 later that year. School-based health centers to promote health equity: Recommendation of the Community Preventive Services Task Force. American Journal of Preventive Medicine 2016;51(1):127–8. Knopf JA, Finnie RKC, Peng Y, Hahn RA, Truman BI, Vernon-Smiley M, Johnson VC, Johnson RL, Fielding JE, Muntaner C, Hunt PC, Jones CP, Fullilove MT, Community Preventive Services Task Force. School-based health centers to advance health equity: A Community Guide systematic review. American Journal of Preventive Medicine 2016;51(1):114–26. Ran T, Chattopadhyay SK, Hahn RA, Community Preventive Services Task Force. Economic evaluation of school-based health centers: A Community Guide systematic review. American Journal of Preventive Medicine 2016;51(1):129–38. "a key venue for delivery of evidence-informed, LGBTQ inclusive sexual health education." See page 22 of the linked report (to the left) for more on SBHCs. Bill de Blasio visits the Inner Force Early Tots Childhood Learning Center, a community-based organization. A largely unnoticed funding cut facing a dozen New York City community schools underscores the challenges Mayor Bill de Blasio’s administration faces as it works to build one of the nation’s largest community school models.